Penn State made what looks like a terrific hire in selecting Carolyn Kieger as the new women’s basketball coach. Kieger’s background is exactly what the Lady Lions should have been looking for. She was a very good college player herself at Marquette, put in several years as an assistant coach for a major program at Miami, then showed she could turn around a program quickly as a head coach when she took over at Marquette. 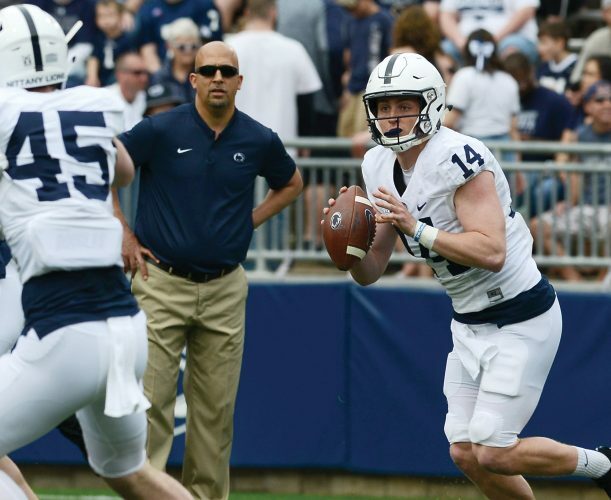 Penn State will be hoping Kieger can do the exact same thing for a Lady Lion program with terrific tradition but that had struggled in recent years under previous coach Coquese Washington. “I’m extremely passionate. I love what I do. I love coaching the game of basketball. I love impacting lives. And I can’t wait to do that in Happy Valley with our current players and our fans and our community,” Kieger said Thursday, several hours after arriving in State College. The biggest thing that jumps out on Kieger’s resume is the impressive rebuilding job she did after becoming head coach at her alma mater. Marquette went just 9-23 her first season in 2014-15, improved to 14-16 the next year, then went to the NCAA Tournament in year three and finished 25-8. Marquette extended its NCAA Tournament streak to three and reached the second round in each of Kieger’s final two years there, going 24-10 and 27-8. Penn State has not made the NCAA Tournament since 2014, which was the last of three straight years Washington led the team to a Big Ten regular-season title. Following that impressive streak, the Lady Lions sank to 6-24 the following season, and Washington was never able to get the program back to its once-lofty heights. Penn State finished 12-18 this season, leading to Washington being let go. Kieger’s rebuild at Marquette happened quickly. How did she do it, and what will she have to do to achieve similar success at PSU? “You have to assess the situation, you have to look at the culture, you have to look at the work ethic,” Kieger said. “What we did is we started from the ground up, and we knew what it was going to take for greatness to occur. Kieger scored 1,277 points and dished out a school-record 694 assists as a four-year starter at Marquette. She can sell her individual success as a player to recruits, along with her coaching success. One of the biggest problems PSU women’s basketball faced in recent years was apathy. The proud program had become basically irrelevant, both on the national stage and with local fans. There was no buzz around the Lady Lions, no reason to pay much attention to the team at all, really, aside from the tremendous individual success of star player Teniya Page. Common complaints from fans have been that Washington’s style of play wasn’t fun to watch and that the players and team didn’t develop and improve over time. Kieger plans to bring an uptempo style of play. Her Marquette team finished sixth in the nation in scoring this season at 82.0 points per game (PSU was 115th at 67.7). That uptempo style will be fun to watch. And there’s no doubt, Kieger has work to do in winning back over the fan base after several down years. Winning will do that. And another element that would help is keeping local high school stars in the region at home. For instance, Penn State missed out on Bellwood-Antis star Alli Campbell, one of the top players in the country. She’s headed to Notre Dame, a perennial power and national championship contender. 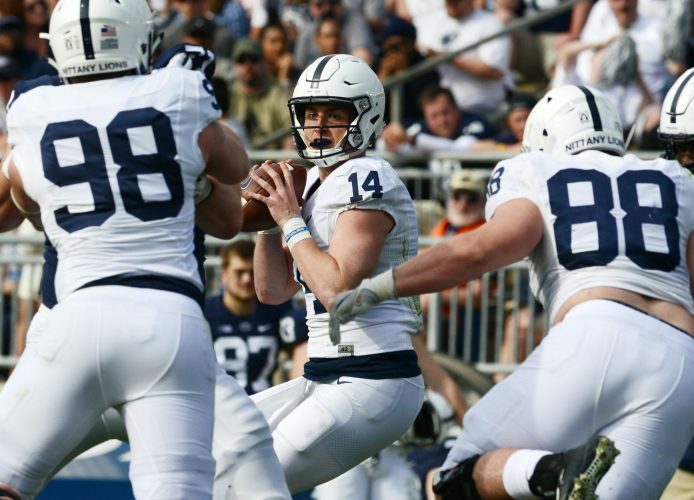 If a player such as Campbell had been coming out of high school a few years ago, Penn State, coming off the three straight Big Ten titles, would have been a much more appealing destination. If the Lady Lions are to make their way back to national prominence, they need to get back to the point where they can keep local stars. There’s no reason whatsoever that Penn State should struggle in women’s basketball. Not with the program’s tradition and fertile recruiting ground within the state. Kieger has a good vision on how to make it all happen, and time will tell if she can pull it off. But, as first impressions go, it appears that AD Sandy Barbour made a terrific choice on her first big hire at Penn State. Cory Giger is the host of “Sports Central” weekdays from 4 to 6 p.m. on ‘Toona 1430.